Social Media is here to stay and you can you either ignore it or embrace it. Platforms vary from social to business, image to video and the platforms you are likely to use are dependent on the service your business provides or product you sell. Large Social Media group training sessions are available and give an initial insight to how these platforms work. For some, this can be an information overload. 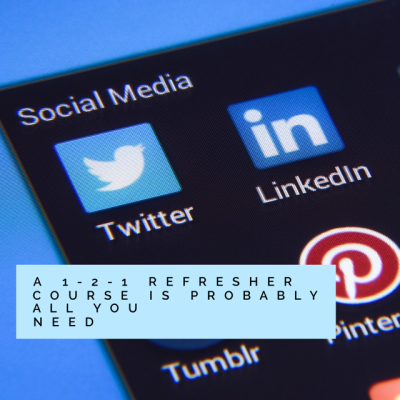 Where and how to Tweet, what content is relevant to LinkedIn, how to upload an image to Instagram and making the most of Facebook mingle into a cloud of Social Media chaos.